He began to share his views of fulfilled Bible prophecy. His convictions and desire to teach the truth, led to a break with mainstream Amillennial churches of Christ. Over the years, those same views have served to create dialogues between denominations, and interactive ministries that to this day are not possible in the churches of Christ. William, along with others share a positive message that is welcomed across denominations, helping to bring about love, unity, open dialogue, friendship and peace that before was enmity, separation and closed doors of communication. William was one of the original speakers on The Living Presence Annual Seminars in Warren, OH hosted by Max R. King and the Parkman Road church of Christ. Before leaving the event in 1996, it had attracted students from around the world, including world renown scholars. William is the author of five published books, Eschatology in Galatians, The ReExamination, A Review of William Jones’ Review of the AD70 Theory, Will Planet Earth Be Destroyed?, Living in Eternity and The 23rd Psalm, The Good Shepherd in the Temple of God. Other titles can be found on Amazon.com as Kindle books including “Have You Spoken In Tongues, When Was the Law of Moses Fulfilled?, and Zionism, the Wolf in Judaism’s Clothing. In the late 1980’s he wrote a series of popular tracts that were distributed throughout the country and abroad. Currently, he has completed audio studies on The Kingdom-Temple and 1 Corinthians 15, and is working on a manscript, In Like Manner, a study of Acts 1:11, to help believers struggling with their studies on the harmony of that text with Christ’s first century parousia. One such mock debate occurred on the Memphis School of Preaching campus when William was accosted by the late Director, Curtis A. Cates, and Faculty members, Garland Elkins and Billy Bland in front of the entire student body who were standing in the library an earshot away. However, the 3 against 1 discussion did not fair well for the faculty who later insisted it be continued in a closed door discussion away from the hearing of the students. However, the students, with ears glued to the concrete block walls, with perfect acoustics heard every word. At the end of the discussion when the students returned to their classrooms, they were silent and dumb-founded for an entire afternoon over the faculty’s inability to refute the teaching. This was reported by several students after the event occurred. Shortly after that meeting, four additional students came to William’s home to study or seek information. William is often complimented for a great voice, powerful deliveries and insightful research and perspectives on eschatology. He received his B.A. 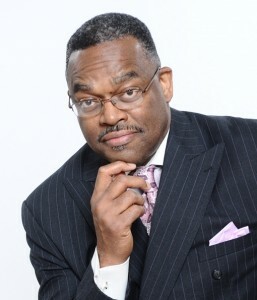 in Bible studies in 1981 from the Memphis School of Preaching, and his Masters of Theology, from Christian Bible College & Seminary in 2006 and recently was awarded an honary D. Div degree from Vision International in Romona, California. William is married to his lovely wife, Leora of 45 years. They have two daughters, Tarsha and Tamera of Memphis, and a son, Nosakhere of Chicago. They also have 2 granddaughters and 2 grandsons. “I didn’t begin with this view, but was led to it through investigating the Scriptures and a lot of agonizing as I transitioned in my thinking through painstaking hours of laborious study.